The Brookville line is a long time American favorite. 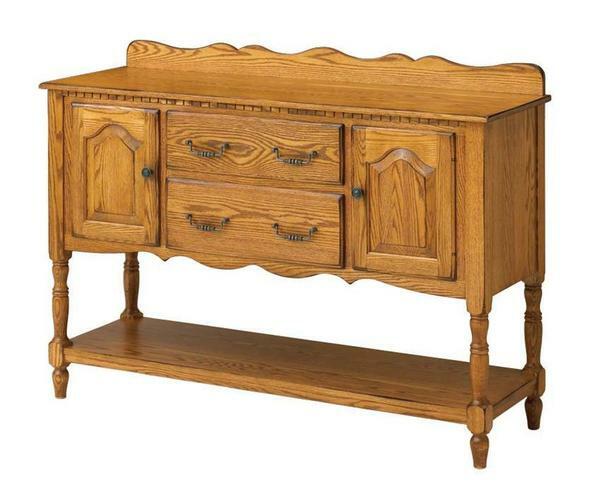 Extremely solid and stable this Amish handcrafted side board is a natural complement to your dining room or kitchen. This heirloom item comes with a 25 year warranty! As you can see by our great variety of styles, Country remains one of the popular looks of our Amish furniture. There's a friendly, welcoming, big hearted feel to it that invites everybody to gather round for a hearty meal and plenty of good natured conversation. Our Amish furniture is so sturdy it lasts for generations. Shown in Oak Wood with an Early American Finish.